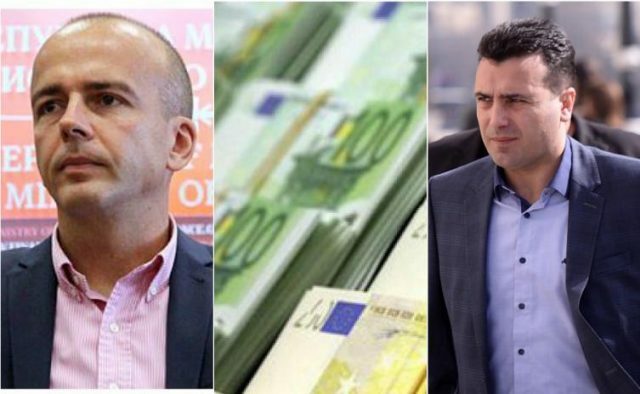 Macedonia's dumb (Dragan Tevdovski) and dumber (Zoran Zaev) vowed a relentless fight against corruption as their own appointed prosecutor has launched a corruption probe against two Government officials for corruption. Zaev himself is in Court for requesting 200,000 euros in bribes on camera from a Strumica businessman. But the corruption probe for the dumb and dumber duo is just a minor hiccup since on Friday evening, the Government announced it will remove the Anti-Corruption body whose sole existence was to prevent corruption particularly during awarding Government contracts. The dumb and dumber duo announced they don't need an anti-corruption body to interfere with their work. And no, this isn't a joke, this is what Macedonia's Finance Minister Dragan Tevdovski stated at a press conference. Keep in mind, as a Finance Minister, Tevdovski during an interview with Telma TV while discussing the pension system was incapable of distinguishing between gross and net pay, which is something you'd want from a Finance Minister. The dumb and dumber duo promised the removal of the anti-corruption body will move the country in the right direction.